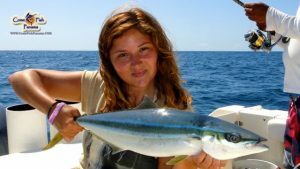 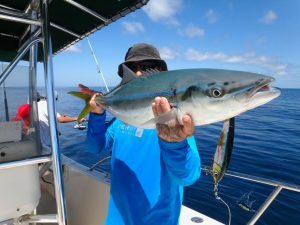 The rainbow runner also known as the rainbow yellowtail, Spanish jack and Hawaiian salmon, is a common species of pelagic marine fish of the jack family, Carangidae. 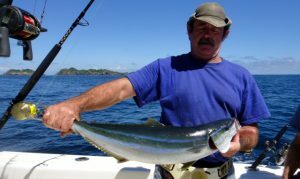 The species is widespread throughout the tropical and subtropical waters of the world, inhabiting both coastal as well as far offshore areas. 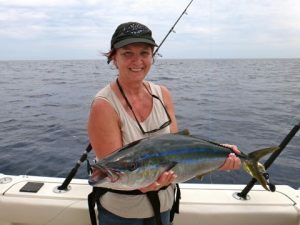 The rainbow runner is easily distinguished by its body shape, and the brilliant colouration which gives the fish its name. 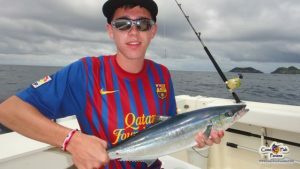 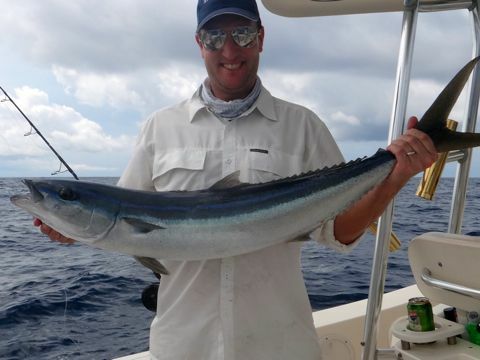 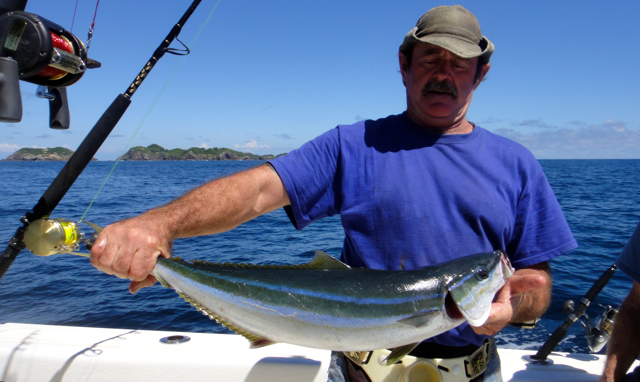 The species is a well known game fish, taken by a variety of fishing methods and is a well rated table fish. 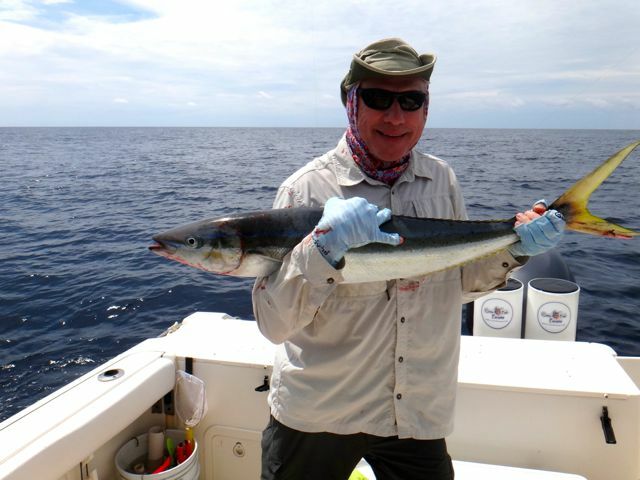 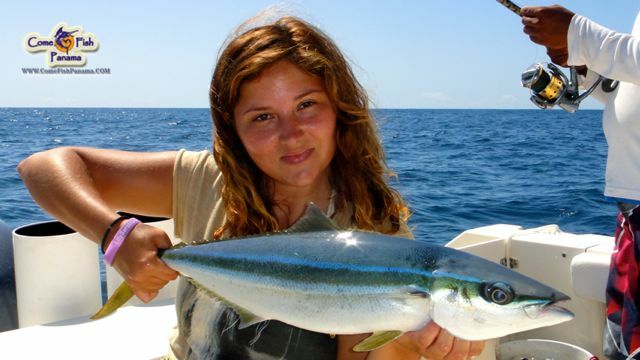 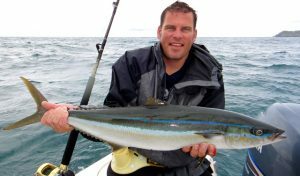 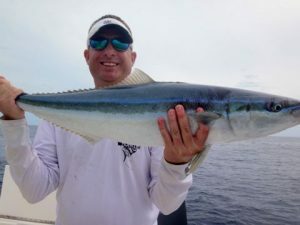 Often they are taken while trolling for other species such as tuna and mackerel, but are often targeted inshore by anglers here in Panama using surface 'popper' style lures. 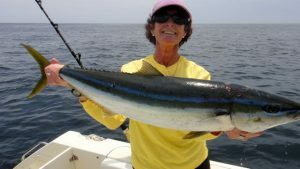 The fish are caught on a wide variety of lures and baits, with deep diving lures, surface lures and even saltwater flies used to good measure. 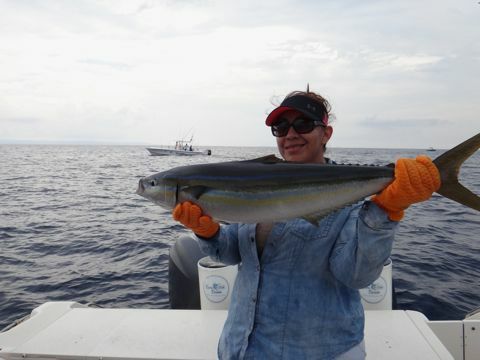 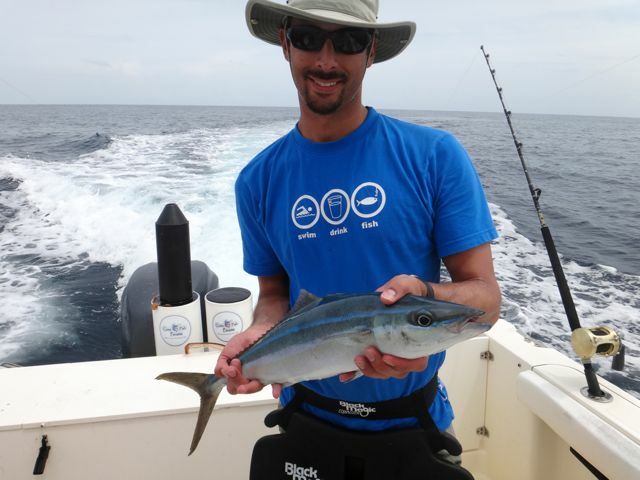 Want more Rainbow Runner Information?